If you’ve ever wondered how the pros get their drawings to look so detailed and dimensional, look to the materials they use. Creating a life-like drawing that is full of values and shades takes much more than a simple No.2 pencil. Here’s a look at some of the materials that I, and most professional artists use to create their drawings. – This is the foundation of your drawing… You can’t build a house without a good foundation; same rule applies when dealing with art. The reason I use watercolor paper for drawing is because it is textured enough to grab much of the graphite/charcoal to create many different shades and values. Watercolor paper is also sturdy enough to not warp under pressure. Mechanical Pencil– This is one of my absolute favorite drawing tools, and one that has allowed me to create much more detailed drawings. Unlike traditional pencils, there will always be a constant sharpened point on a mechanical pencil that will allow you to add far more detail than a normal pencil would allow. – One of the easiest ways to achieve rich, dark values in your drawings is by using charcoal. Charcoal is very soft and doesn’t require a whole lot of pressure to create deep shades, so you don’t have to worry about scratching your drawings. – The same principles as charcoal pencils apply. What makes sticks of charcoal useful is their ability to add consistent dark values over a large area of your drawing. 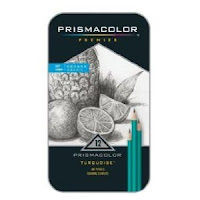 – These pencils come in a broad range of hardnesses allowing you to create tons of different values that a regular No.2 pencil simply can’t. 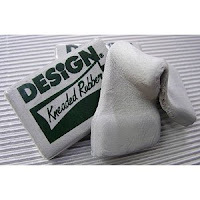 – Kneaded rubber is essentially magic in rectangular form. These erasers can be used to create so many different effects and highlights. They are a godsend for mistakes as well, since they can pick up almost every bit of graphite without shredding your paper. 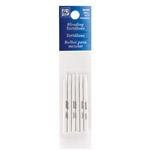 – These are perfect for creating very smooth tones, such as shadows on a face. Their ability to spread values evenly can help you create some wonderful effects without smudging like some other materials can. 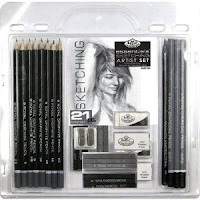 I’m not saying that you have to have each one of these items to create a beautiful drawing, but they certainly help. Some of these materials are absolutely necessary for creating certain effects; and I recommend you experiment with them to get a feel for how different materials can enhance your drawings.